Before you bury your thoughts in Christmas planning and gift ideas, let us tell you what AcademyOcean team has done in November. We are happy to announce, that we are offering a new service to our clients to help them make the first step towards launching their education campaign. Our team will help create a brand new academy about the product or any topic of choice. We understand that creating quality content for an academy is not a trivial task. Therefore, we are willing to apply our experience and expertise to jump-start this process for our clients. If you are interested in our Academy Creation Services, please click the link for more details and submit your request. 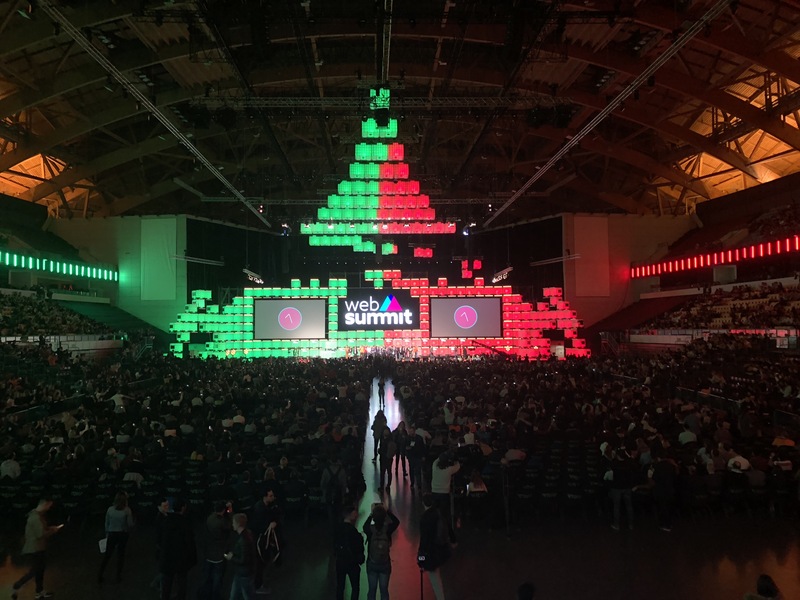 We attended Web Summit 2018 in Lisbon. This is one of the biggest tech conferences in the world and this year it housed over 70,000 attendees. During our time there we met with so many people that for two weeks after our arrival home we did nothing but send emails and make Skype calls (and there are still plenty left in our schedule). Conferences like this is a great opportunity to personally get your product and company out there through real-life conversations and acquaintances, not over the internet. Shortly after returning from Web Summit we attended SaaS Nation`03 in Kiev. This one was smaller and calmer than in Portugal, but still very useful — more personal contacts and more time to discuss the details with everyone who came by our stand. After all, SaaS Nation attendees are our target audience, and we are glad we were a part of it. We hope our collection will grow as we visit more and more cities and conferences. Do you like this sticker idea? Let us know on Facebook, Instagram or Twitter, use the #AOlighthouse hashtag. Our CEO was featured in one of the top SaaS podcasts in the US — The TOP, hosted by Nathan Latka. The episode was recorded earlier this year, in spring, and just now got published. In it, Nathan asked very direct questions about how AcademyOcean is growing, where it all began, and even goes into personal book preferences of our CEO. You can listen to the full episode on Soundcloud. After all the traveling and networking in November we are now fully back to improving AcademyOcean for our clients, so we won’t take up any more of your time, back to thinking about the holidays ;) Have a great pre-holiday season!